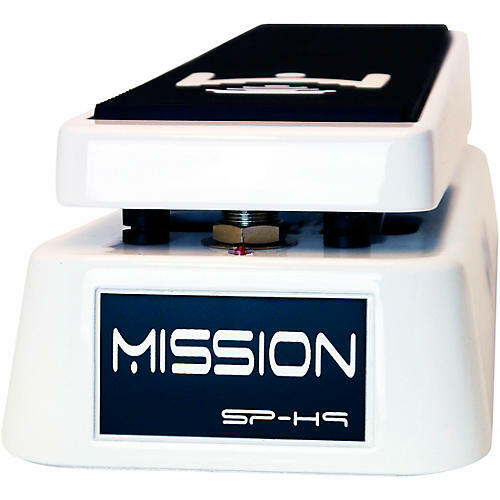 The Mission Engineering SP-H9 is an expression pedal designed specifically for use with the Eventide H9. Use the Mission Engineering SP-H9 switching expression pedal to get the most out of your Eventide H9 Harmonizer. The expression pedal calibrates perfectly with the H9 and provides glitch free pitch and delay transitions. The SP-H9 features an expression controller with integrated switch that connects to the H9 via a single TRS cable. An external aux switch can also be connected via the input on the SP-H9. This offers the convenience and flexibility to chose between either the internal or external switch to control functions within the H9. An LED indicates that the SP-H9 pedal is connected correctly and is powered directly from the H9, so no need for battery or external power supply. Dimensions: 10 x 4 x 3 in.